I'm skipping Photography Friday this week to bring you some Valentine Cheer. Now I have to say that Valentine's Day is not my favorite holiday. It never really struck me as something special we should celebrate. I have decided that I feel this way for 2 reasons. #1 I have the most thoughtful caring wonderful man in the world who does sweet things for me all the time. #2 Our anniversary is in January so we just celebrated our love for each other a few weeks before. 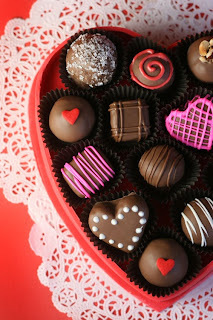 So when Valentine's Day rolls around I'm happy if we get to go out together leaving the kids with the grandparents and he gets me a heart shaped box full of chocolates. No fuss people, no fuss!!! This changed a little when my daughter got older and started doing crafts and enjoying holidays where she receives candy :o) Now Valentine's Day is fun for me because we get to talk about how much we love our family and friends as well as do fun heart shaped activities! I found this great idea for a Valentine's Day Friendship Wreath on one of my favorite blogs "No Time For Flashcards". Sweet Angel made this wreath using pictures of our whole family! Pictures of friends and/or family. (Old Christmas photo cards work great. )Heart shaped cookie cutters or some kind of heart pattern for tracing. Unless you are really good at drawing hearts. I found mine at Wal-Mart for $3. 1. Trace a heart around those smiling faces. I used 2 different sizes to add interest to our wreath. 2. Take the next larger size cookie cutter and trace it onto the cardboard box for your child to paint. 3. While she paints, cut out the pictures. 4. Cut out the colored hearts and glue the pictures onto them. 5. Draw and cut out a ring. You may use paper plate instead if you like. 6. Tie a ribbon around the ring. 7. Glue the pictures on to the ring. 8. Place something heavy on it while it dries. I used a small cutting board with a heavy candle placed on top. 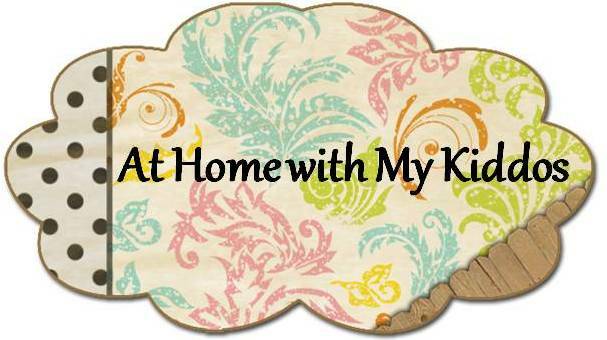 Come back on Monday for Memory Verse Monday and more resources for raising godly children.